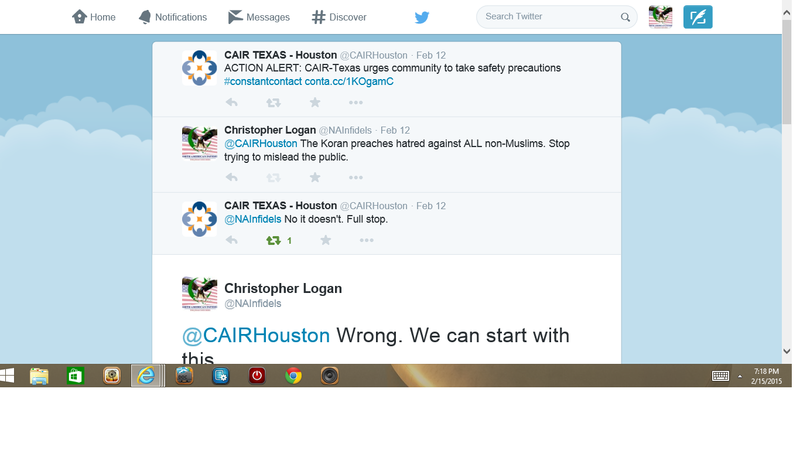 North American Infidels TKO of CAIR Texas – Houston! Whatever happened to interfaith dialogue!? 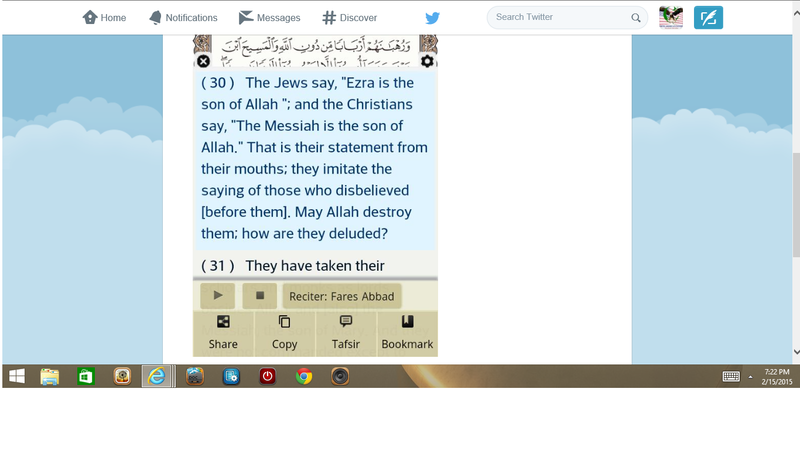 Whatever happened to clearing up the “misconceptions” of Islam? 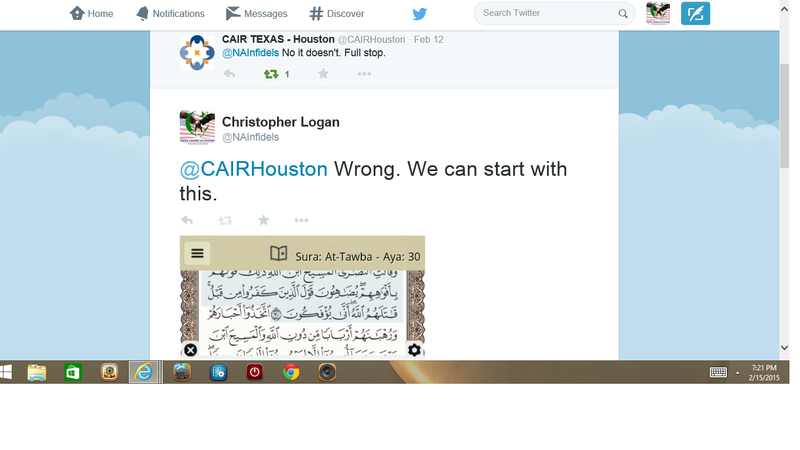 Oh, I forgot….Muslim propagandists only want dialogue when their partners in it are naïve and trusting non-Muslims. 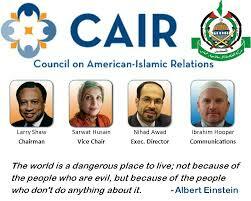 Unfortunately for the Council on American Islamic Relations (CAIR), that is not us here at North American Infidels. 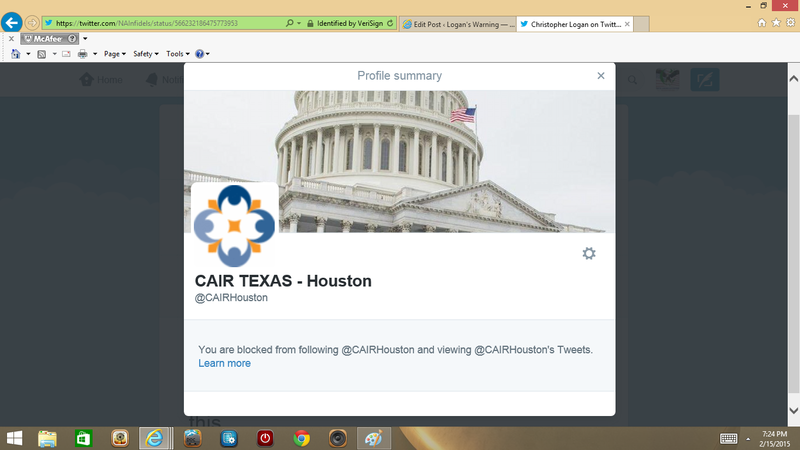 I guess destroying the followers of two major religions is not hatred to CAIR. 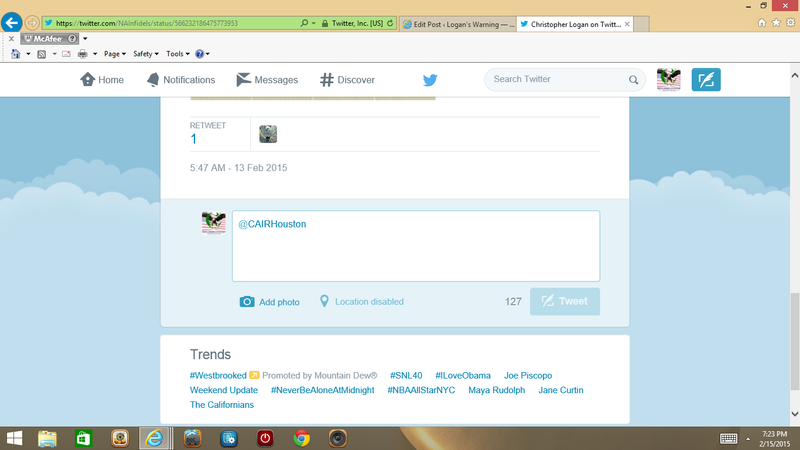 But of course they do not want the general public to know that, and this is why they did not respond…. 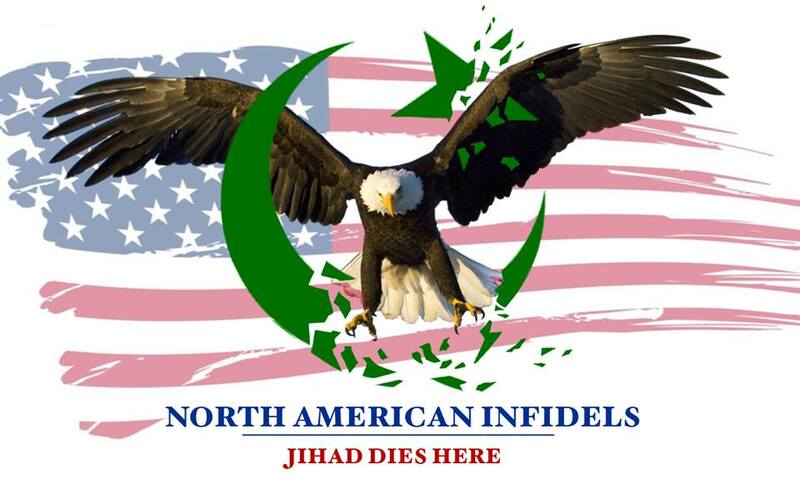 North American Infidels, leading the way in winning the information war against the Muslim misinformation machine! ← Logan’s Warning vs. Obama’s Guest Dean Obeidallah!